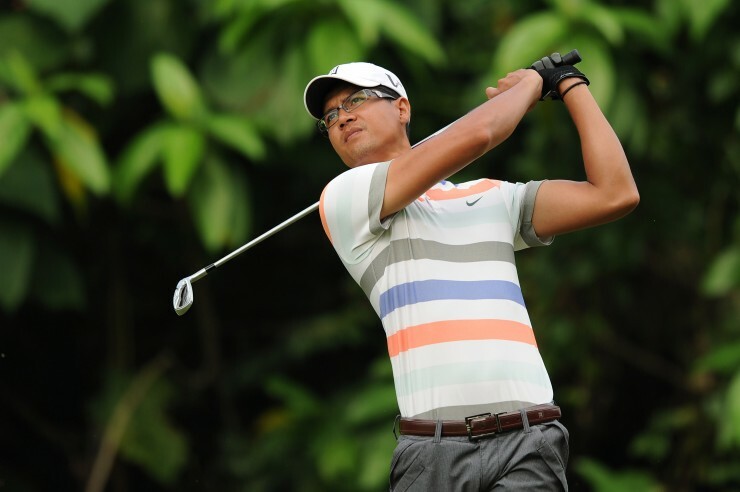 Natthapong Niyomchon of Thailand shot a five-under 66 to take the first round lead of the Professional Golf of Malaysia (PGM) Tour’s Port Dickson Championship at Port Dickson Golf & Country Club today. The leader secured a one-strike cushion from his compatriot Nirun Sae-Ueng and Malaysia’s Kemarol Baharin who both returned with matching 67s. On a congested leaderboard, Chanachok Dejpiratanamongkol, also of Thailand, Filipino Mike Bibat and other hometown hopes Shaifubari Muda and Anis Helmi Hassan were a further stroke back on 68 in joint fourth place. The Malaysian trio of Sukree Othman, M Sasidaran and Kenneth De Silva were tied for eighth place on 69 with the Thai duo of Settee Prakongvech and Nattawat Suvajanakorn. Happy with his opening effort, Kemarol said: “This was a good bogey-free round and I’m pleased with the way I started here. I hit the ball solid and I putted well too. When I did get into trouble I managed to salvage par and that lifted my confidence. Hopefully I can continue with this sort of form,” added the multiple Tour winner who resides in Kuala Lumpur. Kemarol made turn in one-under 34 and then came back with another three birdies over the second nine – two of them at the 16th and 17thholes. The Port Dickson Championship is co-sanctioned with the Asean PGA Tour and features players from several countries in the region, looking to use the event as stepping to build their careers.